Chainsaw machines are widely used by both professionals and inexperienced people in many parts of the United States today. However, chainsaws are still highly dangerous tools that can cause serious injury especially if used by an inexperienced person. Most of the chainsaw injuries reported annually in this country are attributed to chainsaw kickbacks accidents. So what exactly is a chainsaw kickback? 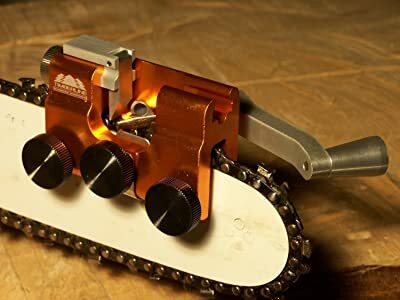 A chainsaw kickback refers to a situation where the chainsaw bar along with the fast moving chain is thrown backwards or upwards in a curved wave towards the operator. It normally occurs when a chain tooth located near the nose or the tip of the chainsaw bounces and catches on another log of wood without cutting through or if the wood closes in and nips the chainsaw. This usually causes the chainsaw to bounce back towards the machine operator and can cause serious injury. Below are some of the ways chainsaw users can avoid or at least reduce the effects of chainsaw kickbacks. Every chainsaw model comes with a manual. Before attempting to handle any of these machines, it is very important to read and understand the instructions of the manufacturer that are contained in the manual. Each model is different and some are designed for different purposes. Using a chainsaw model for the right purpose can lower the risk of kickback. It is important to adhere to the manufacturer’s guidelines when handling a chainsaw at all times. Modern chainsaws are generally safer and tend to have anti-kickback components unlike chainsaws that were used in the past decades. They are fitted with chain brakes, a stop switch, a tip guard and anti-kickback chains which have been proven to be highly effective in preventing kickbacks. Operators especially those who are not professionals should always stick to modern models which are designed to reduce the chances of kickbacks. Modern chainsaws with anti-kickback elements like chain brakes are less likely to kickback. Saw chains with anti-kickback elements significantly protect chainsaw operators against injuries that may occur when handling a chainsaw. All chainsaw operators must ensure that they have personal protective gear and have observed general safety precautions whenever they intend to handle a chainsaw. In many cases, the effects of kickback accidents can be avoided or greatly reduced if the chainsaw user has adhered to the recommended safety measures. Before using a chainsaw for whatever reason, it is highly important to prepare well in advance. A chainsaw operator must clear all debris and other smaller logs of wood surrounding the wood they intend to cut. This is in order to avoid tripping which can cause loss of balance, which is usually a common cause of chainsaw kickback accidents. Operating a chainsaw usually requires very high levels of concentration. However, chainsaw kickbacks sometimes occur due to human error. Even after taking all safety precautions, a momentary lack of concentration can pose serious consequences. A chainsaw operator must be highly alert at all times in order to avoid such accidents. Chainsaws should never be operated by someone who is under the influence of any drug or medications. Even if a chainsaw is designed with anti-kickback elements, an accident can still occur if the machine not well maintained. It is very important to check the condition of a chainsaw regularly and before use. This is to ensure that nothing is out of place and that the machine is in good working condition. Maintenance, including sharpening of the chains when they are blunt should always be done according to the manufacturer’s guidelines. This greatly reduces the chance of kickback accidents. 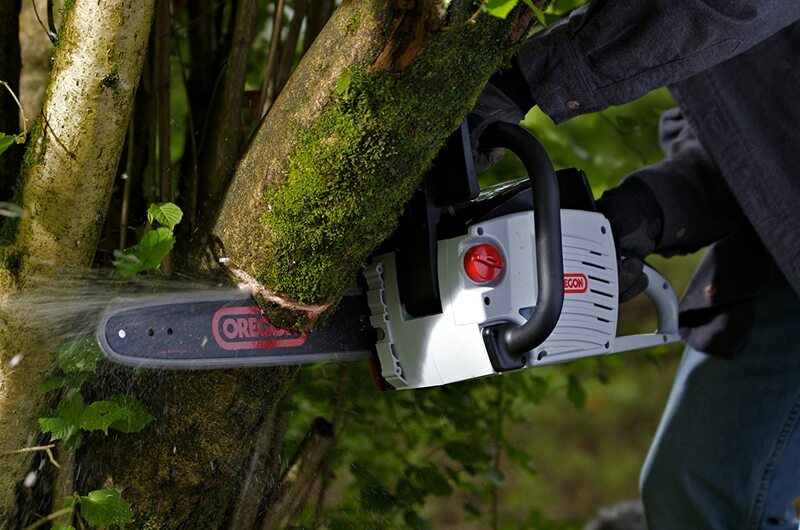 Chainsaw models are designed with different engine capacities, saw chain designs and types and lengths of the guide bars suitable to the kind of work they are designed for. Heavyweight machines should only be handled by professionals who have the expertise as well as experience that is necessary for safe use. Most non-professional chainsaw uses include cutting firewood, clearing debris after a storm and cutting limbs and small trees. These occasional users should stick to lightweight models with easy to use devices for chainsaw tension. This will prevent or minimize the occurrence of chainsaw kickback accidents.